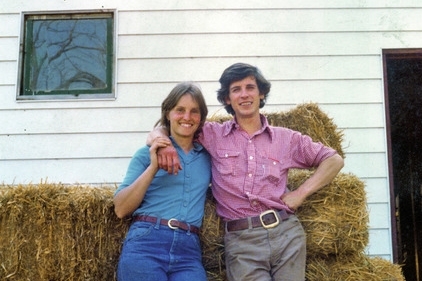 Bill and Caroline opened Ashford Farm in 1972. Members of their extended family live on their Virginia farm, New Meadow Farm, and take care of the horses year-round, helping out with summer camp and management. Their daughter Megan is the head trainer at Ashford, and daughter Jane helps at the barn and with social media with her photography. Daughter of a steeplechase jockey, Caroline has spent most of her life teaching children and adults how to ride. Bill also coaches campers in competition. Bill and Caroline are at the farm everyday working to make the barn a great place for our boarders and customers. You'll often see Bill on the tractor or mower making the farm look beautiful, Caroline is in the ring teaching or in the office making sure things are running smoothly. Rain or shine (or blizzards), they are there taking excellent care of the horses and making Ashford Farm a warm and caring environment for generations of horse lovers. Area professionals and former campers and students fill out the staff as instructors and counselors.